SAP SAPPHIRE NOW is an annual converence centered around the most innovative cloud and business software technologeis. We created the opening animation for the 2016 conference at the Orange County Convention Center in Orlando Florida. Our job was to tell a visual story from the user’s point of view of how SAP’s software technologies make sense of and harness the power of all available data and analytics to help businesses grow and succeed in this increasingly connected and competitive global market. Is your brain full yet? Us too…we just love making the pretty pictures and telling visual stories and this was was huge. 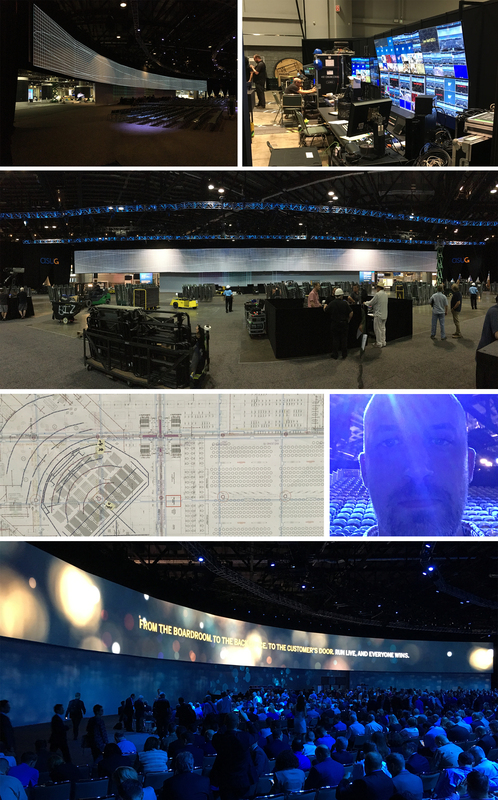 Projected nearly 200 feet wide (18,662,400 glorious pixels) on a curved, motorized screen, serving as a backdrop for the stage where the keynote address was given by CEO Bill McDermott, it was truly an exciting opening moment for this major annual tochnology conference.